Nicholas Childress is native of St. Louis. He received his B.S. in business administration from the University of Missouri in 2010 and subsequently attended Southern Illinois University School of Law. While in law school, he was a law clerk at the MB Law Firm and Childress Ahlheim Cary. Nick was admitted to the Bar of the State of Missouri in 2014 and the United States District Court for the Eastern District of Missouri in 2015. He is a member of the Lawyers Association of St. Louis. Nick’s practice is concentrated on civil defense litigation. He focuses primarily on premises, automotive, and products liability. 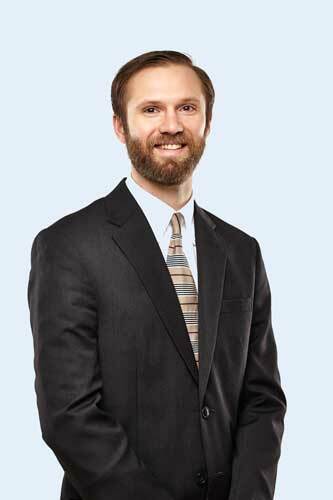 Nick has handled cases in U.S. District Court and circuit courts throughout Missouri. Are You a new client?Yes,I am Potential new client.No,I am a current existing client.I'm neither. At Childress Ahlheim Cary LLC we have not forgotten that the practice of law is a service profession.